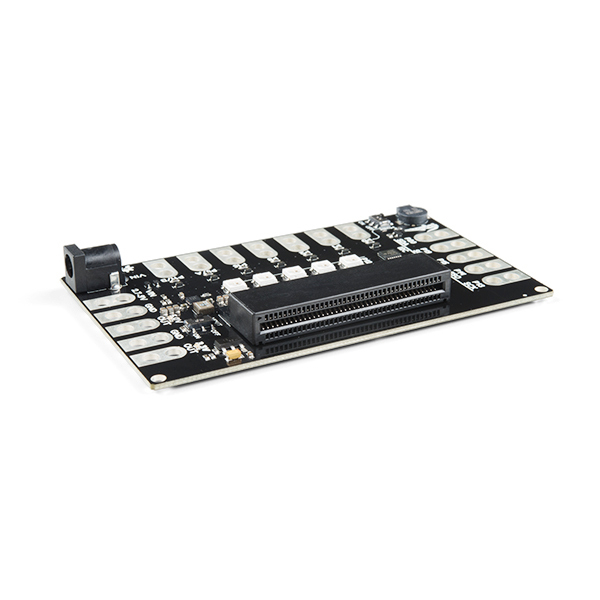 The SparkFun gator:bit v2.0 is an all-in-one “carrier” board for your micro:bit that provides you with a fully functional development and prototyping platform. 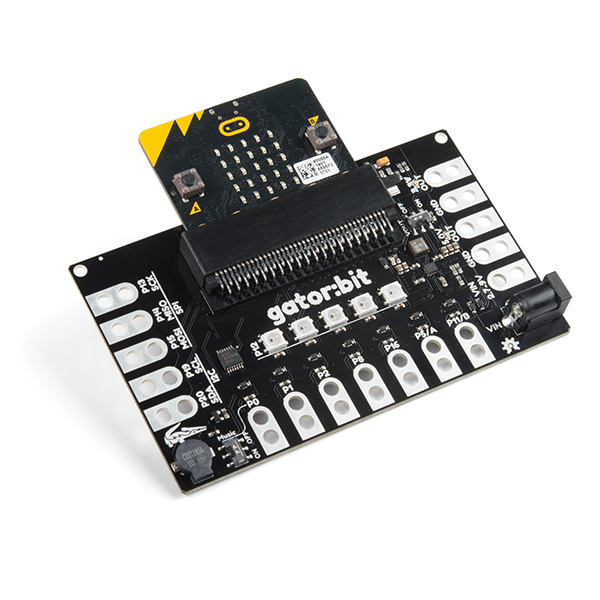 Almost every pin on the micro:bit is broken out to pads that alligator (or crocodile, if you prefer) clips connect to so you can get the most out of it! 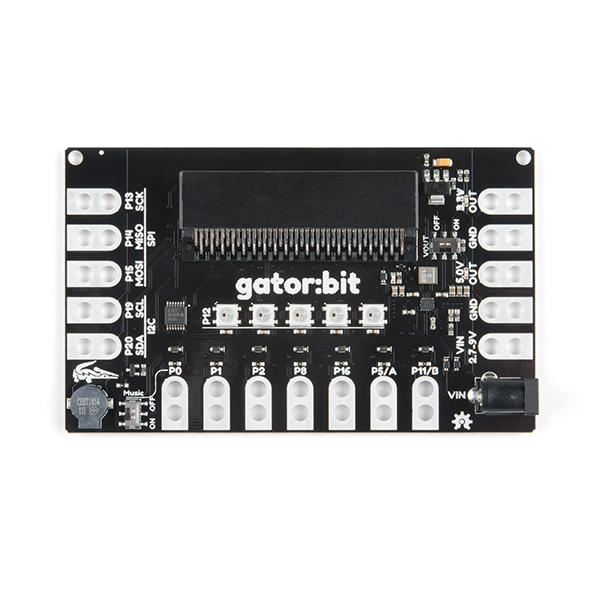 Whether it is data visualization using the five on-board addressable LEDs or creating musical works of art using the built-in speaker, we’ve got it covered with the with the SparkFun gator:bit! 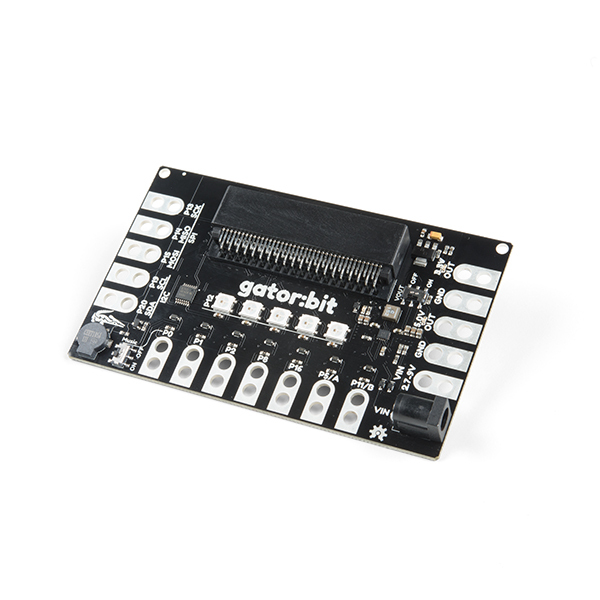 The major benefit of gator:bit that we have provided is safe access to as many GPIO as possible from the micro:bit. Not only are pins 0, 1, 2, 8, 16, 5 (Button A), and 11 (Button B) broken out, but they are also protected against over voltage and over current/short circuit. Pins 0, 1, and 2 are ADC pins; while pins 8, 16, 5, and 11 are digital pins capable of read and write. Additionally, pins 13 (SPI), 14(SPI), 15(SPI), 19 (I2C), and 20 (I2C) can be used to read and write whatever digital signals you could want. We go into much more detail about each pin and other attributes (like supplying voltage out, light, and sound) in the SparkFun gator:bit Guide found below. Make sure to check that out! Each SparkFun gator:bit can be powered from 2.7V - 9V giving you quite a range of powering options. There are three ways of powering your gator:bit, from the barrel jack, through the alligator clip pads labeled “VIN,” or through the micro:bit. Any voltage input between 2.7V and 9V will be regulated to 3.3V to power the micro:bit, the speaker, and for use by any of the alligator clip pins. 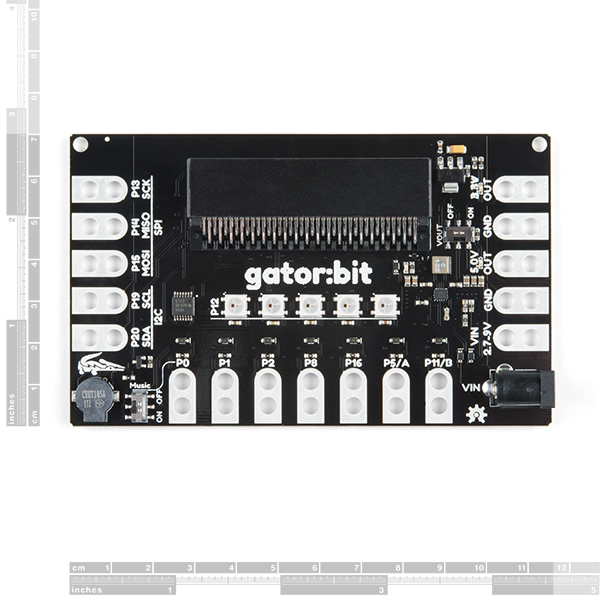 Even without any external hardware, the gator:bit is still an exploratory development board for micro:bit allowing the easiest access to it for educators, beginners, and pro-makers alike. 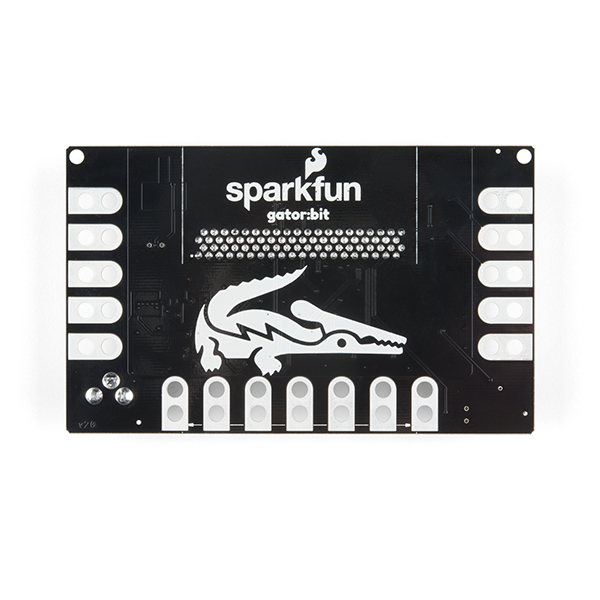 Note: The SparkFun gator:bit does NOT include a micro:bit board. The micro:bit will need to be purchased separately.